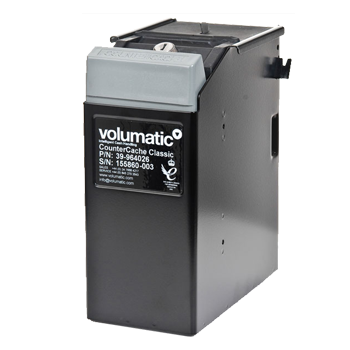 Industry leading retail security experts Volumatic's pioneering range of under counter POS safes include the Basic Counter Cache and the Classic Counter Cache. Externally identical, the basic and classic are distinguished by the Classic offering an internal plastic cassette for storage of the bank notes. Order your Counter Cache here today.